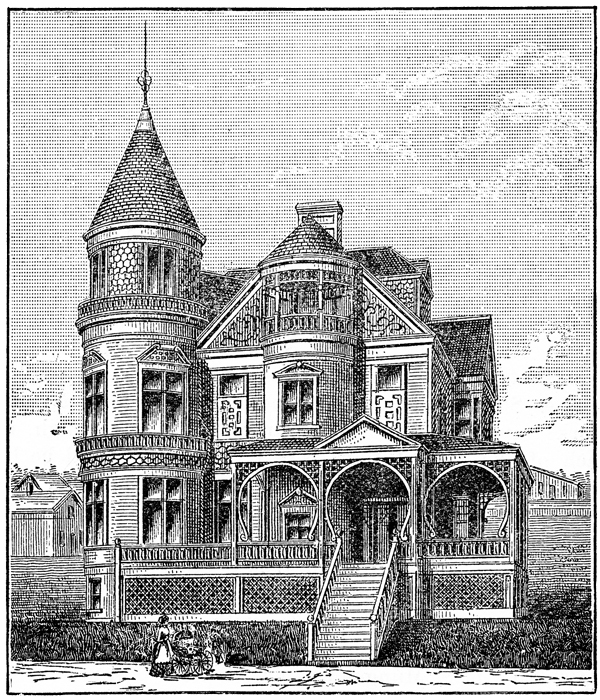 Archibald and Annie McLean had their two-and-a-half-story Queen Anne home, with its prominent corner tower, built on the northeast corner of Lake Avenue and Fourth Street in 1888. Architect Traphagen designed the clapboard house with fish-scale shingles on the corner tower, a half tower with an open porch on the front façade, and a profusion of decorative wood panels. 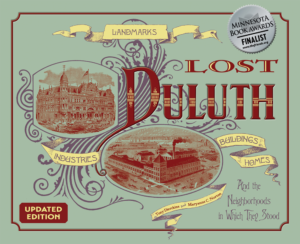 Archibald McLean was another pioneer of Duluth, a true Sixty-Niner who came to Duluth when he was about twenty-eight years old. He partnered in the town’s first foundry and machine shop, A. B. McLean and Co., on Lake Avenue in today’s Canal Park Business District. The firm specialized in making engines, boilers, and wood and iron-making machinery. It eventually merged with Clyde Iron Works, after which McLean worked as a blacksmith for the city. Archibald died in 1917, but Annie continued to live in the house until 1936; the McLeans’ daughter, Sarah Grant, occupied the house until 1938. The McLean House was demolished in 1939. The lot, which remained empty for over sixty years, is now the site of a modern townhouse.